Liver Healthy Diet - If you're fat you need a healthy liver diet! Why should you care about a liver healthy diet? 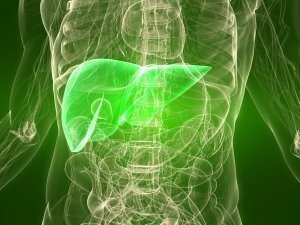 Your liver is your body's chief detoxifier, that's why. Your fat cells are full of toxins that need to be detoxed! And how about the risks of getting cancer, heart disease, arthritis, developing obesity and the high costs of any disease? These are big reasons why you should care about taking care of your body's chief detoxifier. The liver is an extraordinary organ and one we don't necessarily think about that much, but it's incredibly important to consider how best to nourish it with a healthy liver diet. You will be losing fat and detoxing at the same time. The capacity of the human body to defend itself from all manner of nasty, toxic, substances depends on the liver. If you have excess fat you have toxins stored in your fat cells. The more obese you are the worse the problem is. The liver has been called the body's master chemist because it is the primary detoxifier for all the poisons we often consume. The liver combines toxic substances like drugs, alcohol and harmful chemicals with less toxic substances and then excretes them through the kidneys and bowel. A liver healthy diet is essential to life and to losing fat effectively. Does the body hold onto fat when you aren't eating enough antioxidant foods to support the liver? It stands to reason that the liver needs to be optimally supported with good nutrition to do it's work. It needs to detox and filter all the substances we consume; it supplies and stores fuel, and, according to Dr. Henry Bieler, (Food Is Your Best Medicine,) performs 500 other important functions. A person can only live a few hours without a liver. For this reason surgeons usually do not touch it except to remove a tumor or cyst. We only get one liver! You had better take good care of it if you want to live a long and healthy life. If you want to lose your fat you need to be eating a liver healthy diet so your body can function optimally and the liver can do it's detoxing job. What exactly is the healthy liver diet? According to Dr. Bieler, author of the nutrition classic cited above, sodium is the most important of the alkaline elements of the body. He believed that the liver is the storehouse of sodium. Because of the alkalinity of the sodium it has the power to neutralize acid and corrosive poisons. It follows then that when the liver is depleted of sodium, illness results. It is only when the liver is inhibited from filtering poison out of the bloodstream that disease can occur. The liver must have sufficient alkalinity to function properly. The richest source of sodium is vegetables and the next best source is found in certain animal tissues such as the muscle or liver. However, the meat must be eaten raw which is not only unpalatable but also not safe in this day and age. Dr. Bieler's favorite vegetable to nourish the liver is the zucchini because it is especially rich in sodium. In his book he says the zucchini is the ideal way to restore a sodium depleted liver. In all of the patient cases Dr. Bieler discusses in his book, no matter what illness, he often would start them out on a diet of cooked zucchini which he considered to be central to the liver healthy diet. He does make a point of saying many times, however, that everyone is individual and he treated each person according to their unique physiology, illness and circumstances. I would advise everyone to read Food Is Your Best Medicine, Dr. Bieler's book, and then draw your own conclusions. And of course consult with your doctor if you have specific health issues. Dr. Bieler liked the zucchini cooked with green beans (longer for the beans) and made into a broth. As someone who is interested in optimum health, I juice it raw in a green smoothie and find it much easier to consume and very energizing. The zucchini is the perfect food for a liver healthy diet. You will be amazed at the curative power of a healthy liver diet! Adding the green smoothie to your eating plan will assist your body in letting go of the fat. What else can you do? Eat less meat or even become a vegetarian. Eat a diet consisting of 75% raw foods. Eat raw almonds, brewer's yeast, whole grains and seeds. Eat foods high in sodium, like vegetables,not excessive salt. Include legumes in your diet. Eat plenty of green leafy foods. Eat foods high in potassium like brewer's yeast, yams and wheat bran. Drink fresh vegetable juices as often as possible. Eat the perfect liver food - zucchini. Eat only cold pressed oils, the less refined the better. There is a lot more to know about oils because on a liver healthy diet you need to eat unrefined oils. They can form more trans-fatty acids during frying or baking when temperatures exceed 320 degrees. It's better to cook gently at low temperatures. Olive oil and coconut oil work well if you must heat. However, it's better to steam veggies and add a little oil once they're cooked. Meat can be braised or baked in water or wine. You can also combine oil and water to sauté, using even less oil. If you are still needing to lose fat it's best to use a teaspoon of oil for a midday meal when you will still be active after eating. A liver healthy diet means letting food be your medicine. Restore and nourish your liver so it can keep your bloodstream protected from harmful toxins and prevent disease. It will support you in releasing fat more efficiently. Find good health around the kitchen table. Eat greens, eat zucchini and support your body's natural disease protection, with the liver healthy diet. For more articles about nutrition and your weight read below. Return from Liver Healthy Diet to Food Nutrition Facts. Return from Liver Healthy Diet to Lifetime Fat Loss home page.